St. Martin's Griffin, 9780312201654, 352pp. One of the 20th Century's most beloved novels is still winning hearts! I Capture the Castle tells the story of seventeen-year-old Cassandra and her family, who live in not-so-genteel poverty in a ramshackle old English castle. Here she strives, over six turbulent months, to hone her writing skills. She fills three notebooks with sharply funny yet poignant entries. Her journals candidly chronicle the great changes that take place within the castle's walls, and her own first descent into love. By the time she pens her final entry, she has "captured the castle"-- and the heart of the reader-- in one of literature's most enchanting entertainments. Dorothy Gladys "Dodie" Smith, born in 1896 in Lancashire, England, was one of the most successful female dramatists of her generation. She wrote Autumn, Crocus, and Dear Octopus, among other plays. 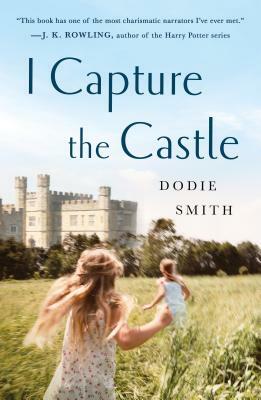 I Capture the Castle, her first novel, was written in the 1940s while she was living in America. An immediate success, it marked her crossover from playwright to novelist, and was produced as a play in 1954. Smith also wrote the novels The Town in Bloom, It Ends with Revelations, A Tale of Two Families, and The Girl in the Candle-Lit Bath, but she is best known today as the author of two highly popular stories for young readers: The Hundred and One Dalmatians and The Starlight Barking. She died in 1990.